Welcome to our Centralised Trophy catalogue. If you have a questions about any of our Trophies, Awards & Gifts please call 01355 570 564 and one of our friendly staff will be happy to work on your requirements. We have an extensive range of Trophies, Awards, Medals and Glass & Crystal Awards & Gifts for all Events, Sports and Occasions. 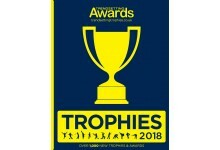 We pride ourselves on great customer service, supplying a great range of Trophies & Awards and providing a quick turn around time for those urgent Trophy orders. We believe we offer the best Trophy and Engraving service anywhere in the UK. If you have been hunting the web for Football Trophies, Golf Trophies or any type of Sport Trophy then you have come to the right place. We also offer a superb range of Corporate Trophies, including our large range of Glass Trophies. We engrave and personalise all our Trophies in house which enables us to offer the quickest and most reliable Trophy and Award engraving service in the UK.